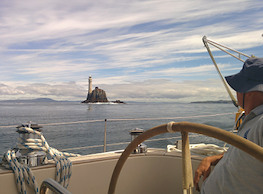 Come sail with us for a day and explore the beautiful Wild Atlantic Way in West Cork. 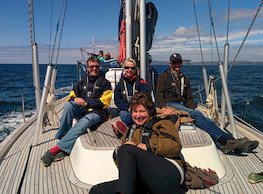 Alternatively explore West Cork's islands on our Wild Atlantic Way cruise. 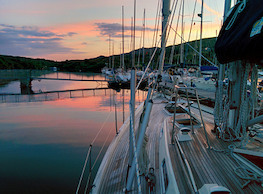 You can choose from a half day sail to a full mini cruise along the Irish Atlantic Coast (Wild Atlantic Way) in West Cork. 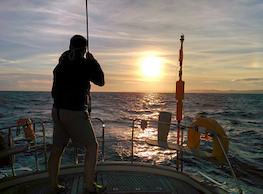 Day sailors are invited to participate in all aspects of sailing under the guidance of the crew, alternatively, you may wish to take a less proactive role and relax on a real modern ocean going yacht that has already completed a global circumnavigation. Visitors from the UK, Europe and America, love the fine scenery, fantastic food and great company they find here after a day out on the water. Contact Carbery Sailing today, and we’ll help you plan every aspect of your trip from your sailing, travel, and transfers to great accommodation. 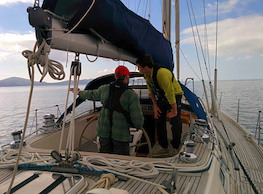 NOTE Download a PDF version of the Day Sailing Brochure. 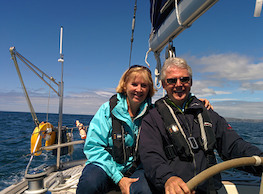 These trips are fully crewed and full catering can be provided. Jumper, sunglasses, swimwear, sunhat, camera. Sensible non-slip shoes, please avoid wearing black soled shoes and walking boots as they may mark the deck. Wet weather jackets, trousers and a fleece may be required on an overcast day. We can cater for different dietary needs, however, we do need to be informed well in advance of the sailing date. If you have a medical condition, please inform the Skipper prior to the sailing date.